Direct replacement for the original. Hose runs from: Side of inlet manifold to brake servo. On vacuum sunroof equipped cars there is a T-peice located near the brake servo. 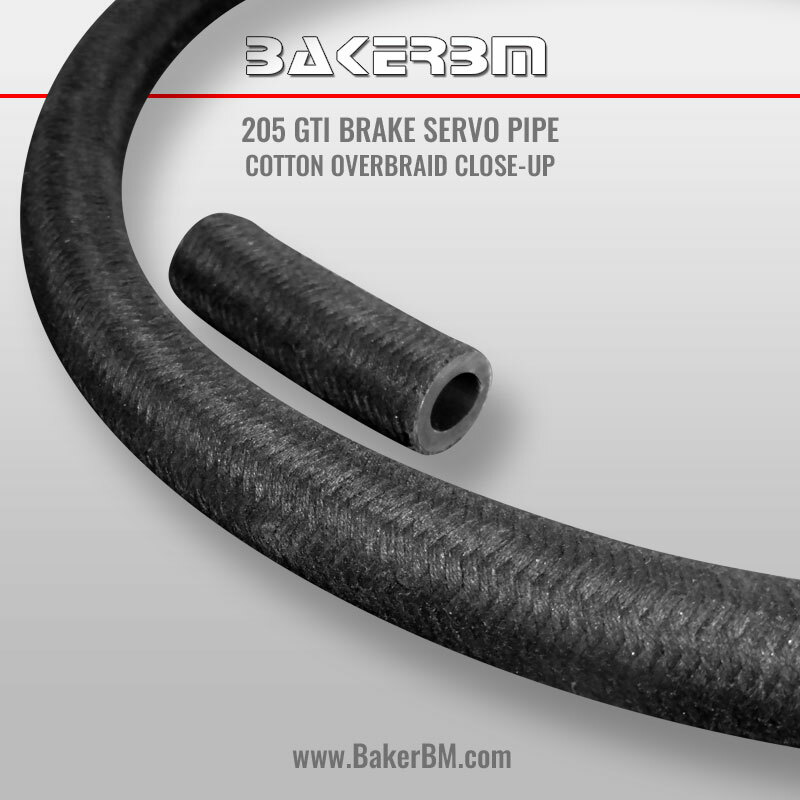 A short section of hose is supplied to replace this section if with sunroof is selected. Designed to an OE style with the braided cotton outer covering. Available for RHD and LHD configurations. Supplied cut to length with our cobra clips for a neat installation. Copyright © 2018 BakerBM Ltd. All rights reserved.